Something magical happened at Walt Disney World. On Thursday, the Crown Princess Elena of Avalor—Disney’s first Latina princess and star of Disney Channel’s new animated series Elena of Avalor—made her royal debut at Magic Kingdom. And Girl Scouts of Citrus was there to give her a royal welcome! As part of the royal debut, the inaugural Elena of Avalor—Scepter of Light Award was presented at the Cinderella Castle stage to Orlando Girl Scout Ashley Chico, who recently received her Girl Scout Gold Award. The Gold Award is the highest recognition a Girl Scout can earn, with recipients completing Take Action projects that demonstrate extraordinary leadership, including compassion, critical thinking, collaboration, and courage—the very leadership qualities that Elena of Avalor models. For her project, 17-year-old Ashley created Project CODE which provides STEM resources - including classes and workshops - for students in under-served communities. Ashley also developed the CHICO HealthCare app, which allows patients who are illiterate to share their personal and medical information via tablet, using voice recognition in any language, so that they can register to receive medical care. Ashley celebrated her incredible achievement by spending the day at Magic Kingdom with her sisters (who are also Girl Scouts!) where they met Jenna Ortega, the voice of Princess Isabel! 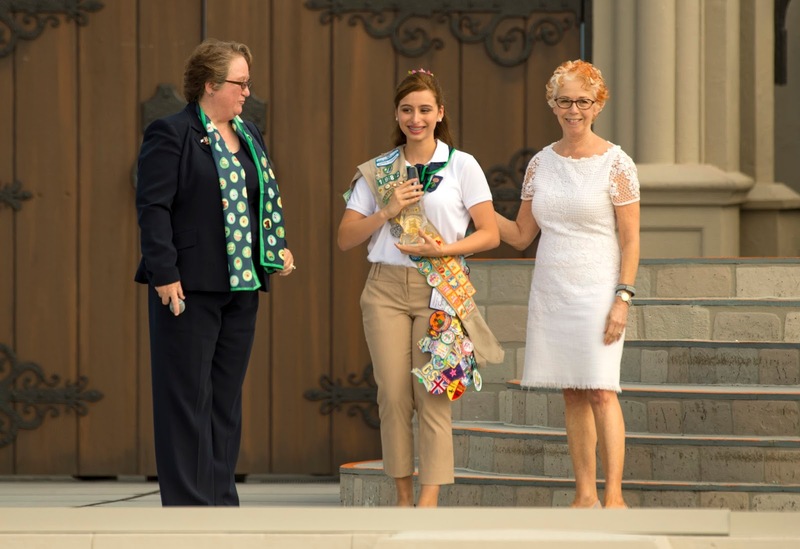 Members of the Girl Scouts of Citrus council were on stage to represent Girl Scouts of the USA’s and Disney Channel’s new collaboration, a week after the two organizations announced they are teaming up to inspire girls and their families to practice leadership with the debut of The Elena of Avalor Leadership Guide by Girl Scouts and Disney Channel. Available in English and Spanish, the guide showcases activities and conversations parents and caregivers can engage their preschool through fifth-grade girls in to boost their everyday leadership skills and prepare them to create the future they imagine. 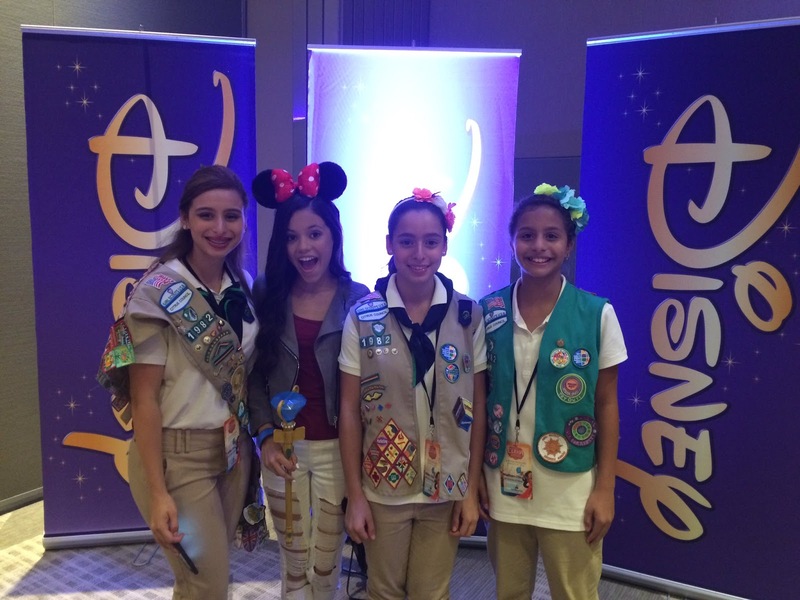 Girl Scout Ashley Chico celebrating her Elena of Avalor - Scepter of Light Award with her sisters and actress Jenna Ortega, voice of Princess Isabel on Elena of Avalor. Ready to help your girl take the lead and make the world a better place? Join the Movement.